L ooking for fresh and local meat, produce and other goods? Check here for dates, times and locations for farmers markets across the state. We’re continuously updating this list as information becomes available – the most recent edit was May 8, 2018. Have a market you’d like listed? 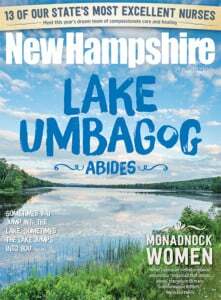 Email Assistant Editor Emily Heidt at eheidt@nhmagazine.com for consideration. Date: August-September, Fridays 4-6:30 p.m. Description: This weekly market features farmers, vendors, crafters and musicians from Northwood, Deerfield, and Nottingham. Description: This weekly market features flowers, maple, conventional produce, fish, jams, wine, fruits, baked goods, eggs, jellies, specialty foods, etc. Description: These weekly markets feature fresh produce, flowers/plants maple, meat, fish, baked goods, crafts, etc. Date: May 2019-October 17, Saturdays 9-2 p.m. Date: May 2019-October, Saturdays 8:30 a.m.- 12:30 p.m. Date: May–October, Fridays 3 p.m.-6 p.m. Location: Just off Exit 28 of I93. Description: This weekly market features fresh produce, eggs, baked goods, cheese, milk, maple products, potted plants, meats, seafood, jams, cut flowers, herbs, crafts, etc. Description: This weekly market features fresh produce, flowers/plants, maple, baked goods, meat, crafts, live entertainment, etc. Description: This weekly market features fresh produce, flowers/plants, baked goods, maple, wines, beers, meat, dairy, fish, agricultural crafts, etc. Description: This weekly market features fresh produce, eggs, flowers/plants, dairy, maple, baked goods, meats, herbs, weekly entertainment, etc. Date: June-September 2019, Wednesdays 3-7 p.m. Description: This weekly market features fresh produce, flowers/plants, dairy, maple, baked goods, meat, wine, ice cream, gluten-free items, jams/jellies, body care products, crafts, entertainment, etc. Description: This weekly market features fresh produce, flowers/plants, dairy, maple, baked goods, meat, crafts, music, etc. Location: Jackson Landing, 10 Old Piscataqua Rd. Description: This weekly market features fresh produce, flowers/plants, dairy, maple, baked goods, meat, prepared foods, crafts, etc. Description: This weekly market features fresh produce, flowers/plants, dairy, maple, baked goods, meat, crafts, etc. Date: June-September 2019, Tuesdays 3-6 p.m. Description: This weekly market features fresh produce, flowers/plants, dairy, maple, baked goods, meat, popcorn, etc. Description: This weekly market features fresh produce, flowers/plants, dairy, maple, baked goods, meat, lobster, ice cream, crafts weekly music, massages, etc. Date: All year on Thursdays from 4 p.m.-7 p.m. Location: Henniker Community Center Park, 57 Main St. Description: Including vegetables, fruits, flowers/plants, dairy, maple, baked goods, meat, crafts and live music weekly. Held rain or shine. Description: This weekly market features fresh produce, flowers/plants, dairy, baked goods, meat, maple, crafts, etc. Dates: July 9 – October 8, Tuesdays 3:30-6:30 p.m. Description: This weekly market includes: vegetables, fruits, meat, honey, bread and more. Guests will also love the live music as well as beer and wine samples. Date: June-September, Mondays 3-6 p.m. Description: Participating farms include Foggy Hill Farm, Monadnock Berries, Little Brook Farm, Patinez Farm, Phoenix Farm and more. Enjoy free concerts on the Common as well. Description: A growers only market, meaning each vendor has grown, produced, or created what he or she sells. Description: This weekly market features fresh produce, baked goods, flowers/plants, maple, meat, fish, dairy, dog treats, Adirondack chairs, body products, crafts, etc. Date: June 15, 2017-October 5, Thursdays 3-6 p.m. Location: Municipal parking lot between Main & Pleasant Sts. Description: Featuring vegetables, fruits, flowers, plants, dairy, maple, baked goods, meat, fish and crafts. Description: This weekly market features fresh produce, crafts, organic food, local specialties, etc. Description: This weekly market features fresh produce, flowers/plants, beef, eggs, dairy, maple, baked goods, spinning fiber, crafts, music, fudge and more. Description: This weekly market features vegetables, flowers/plants, dairy, maple, goat milk soap, yarn and knitted products and crafts. Description: Fresh local fruits and vegetables, pasture raised pork, beef, and chicken, goat cheeses, breads, gluten free goodies, NH and VT Maple products, prepared foods and crafts. Description: This weekly market features fresh produce, flowers/plants, maple, baked goods, jams, sopas, crafts, etc. Description: This weekly market features fresh produce, flowers/plants, dairy, maple, baked goods, meat, jams/jellies, dog treats, etc. Date: June 16, 2019-October, Saturdays 10 a.m.-1 p.m. Description: This weekly market features fresh produce, flowers/plants, maple, baked goods, meat, fish, wool, guest chefs, weekly entertainment, etc. Description: This weekly market features fresh produce, meat, eggs, plants, pastries, artisan breads, honey, maple syrup, candy, ice cream, soap, crafts, special events, etc. Date: June-October 2019, Saturdays 10 a.m.-1 p.m. Description: This weekly market features organic produce, fruits, flowers/plants, soaps, honey, teas, bakery goods, maple, chocolate, BBQ, eggs, wool products and local artisans, plus musicians, demonstrations and education. Date: First and third Saturday of the month June 9, 2018 -October from 9 a.m.-2 p.m. Description: Featuring vegetables, fruit, flowers/plants, dairy, maple, baked goods, crafts, massage, music and seedlings. Date: May 7, 2018-October 7, Saturdays 10 a.m.-1 p.m. Location: New West Mall, 800 Turnpike Rd. Description: A community-run market providing locally grown herbs, vegetables and fruits, locally raised and produced meats, eggs and handmade crafts, breads and maple syrup. Date: June-October 2019, Saturdays from 9 a.m.-1 p.m. Description: Featuring vegetables, fruits, flowers/plants, dairy, maple, baked goods, meat, crafts, weekly music and kids’ table activities. Description: This weekly market features fresh produce, flowers/plants, dairy, maple, baked goods, meat, jams/jellies, pickles, ice cream, prepared foods, fleece, crafts, music, demonstrations, etc. Description: This weekly market features fresh produce, flowers/plants, baked goods, etc. Description: This weekly market features fresh produce, flowers/plants, dairy, maple, baked goods, meats, crafts, etc. Description: This weekly market features fresh produce, flowers/plants, dairy, maple, baked goods, meat, prepared foods, crafts, live music, October Pumpkin Smash, etc. Date: May 16, 2019-October, Thursdays from 3 -6 p.m. Description: Featuring vegetables, fruits, flowers/plants, dairy, maple, baked goods, meat and crafts. Held rain or shine. Date: June 11-September 2019, Tuesdays from 3-6 p.m. Description: This weekly market features entertainment, vegetables, fruits, flowers/plants, baked goods, honey, herbs, soaps, crafts. Date: Sundays all year from 10 a.m.-2 p.m. Description: This weekly market features fresh produce, flowers/plants, dairy, maple, baked goods, meat, crafts, live entertainment, etc. Date: June-Septembers, Mondays 3-6 p.m. Description: Featuring vegetables, fruits, flowers/plants, dairy, maple, baked goods and crafts. Date: May-October 2018, Saturdays 9 a.m.-1 p.m. Rain or shine. Description: This weekly market features fresh produce, flowers/plants, dairy, maple, baked goods, honey, cider, mead, crafts, artisan demonstrations, music, etc. Date: May-Columbus Day, Saturdays from 9 a.m.-3 p.m. Description: Featuring vegetables, fruits, flowers/plants, dairy, maple, baked goods, meat and crafts held rain or shine. Location: Town Hall Lawn, 5 E. Main St. Description: This weekly market features fresh produce, flower/plants, maple, baked goods, dog treats, soap, crafts, Spring into Warner, etc. Description: This weekly market features vegetables, fruit, flowers/plants, dairy, maple, baked goods, meat, herbs, shiitake mushrooms, honey, eggs and alpaca products. Date: June-October, Saturdays 9 a.m.-1 p.m. Description: This weekly market features local products, free range meats, cider, maple products, yogurts, milk, cheese, flour, specialty teas and coffees, flowers/plants, fresh baked breads, etc. Description: This weekly market features fresh produce, flowers/plants, dairy, maple, baked goods, meat, lavender products, worms, prepared foods, wool, crafts, special events, etc. Date: June 1, 2017-October 5, Thursdays 12:30-4:30 p.m. Description: This weekly market features fresh produce, meat, honey, maple syrup baked goods, etc.